This year’s recipient of the Division 38 Award for Outstanding Contributions to Health Psychology by an Early Career Professional is Dr. Qian Lu. 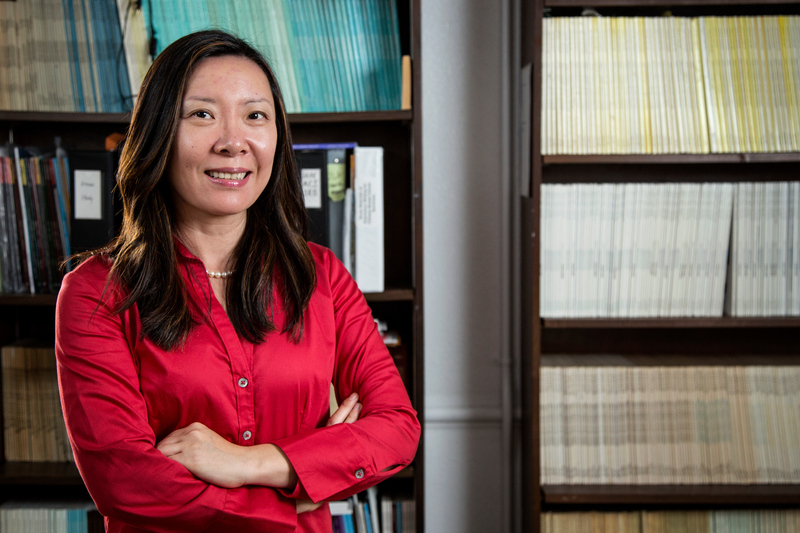 Dr. Lu is currently an associate professor and the director of Culture and Health Research Center at the department of Psychology, University of Houston. She completed her medical training from China, and her Ph.D. was conducted in the social psychology and health psychology program at UCLA under Dr. Annette Stanton. Dr. Lu has conducted a programmatic line of research to improve the lives of minority cancer survivors and understudied populations. Her inter-disciplinary work in the elimination of health disparities, interventions with Asian Americans, and cross-cultural studies especially among minority populations is taking the field in a new direction of thinking about how to successfully develop interventions for under-represented populations to make more significant impact in communities. Her empirical studies are worth noting for the programmatic nature and sophisticated methodologies . Her designs combine laboratory experiments, field interventions, biological mechanisms, mixed qualitative and quantitative methods, and a strong and true community based participatory approach. For example, Dr. Lu spent the past five years piloting and refining a social support intervention for Chinese American breast cancer survivors. She has recently received a R01 grant from NCI as PI to test the effectiveness of this intervention as well its underlying cultural, psychosocial, and biological mechanisms by using mixed methods and community based participatory approach that promises to expand existing western theories and will inspire new theories by incorporating more culturally relevant constructs. In her relatively short time as a new investigator, she has received almost $4 million dollars in grant support, including two research grants as Principal Investigator and a career development grant, supported by the National Cancer Institute, American Cancer Society, and Susan G. Komen for the Cure. Dr. Lu’s findings have contributed to our understanding of health disparities in cancer and pain, Asian American cancer survivorship, and developing culturally sensitive interventions for understudied populations. She has authored several high visibility papers, including her 2013 health psychology paper on “Multiethnic differences in responses to laboratory pain stimuli among children”, and her 2012 Annals of Behavioral Medicine paper on “Belief in divine control, coping, and race/ethnicity among older women with breast cancer.” Her 2012 Health Psychology paper of “A pilot study of expressive writing intervention among Chinese-speaking breast cancer survivors”, received considerable media attention, and made news on NBC, the Atlantic, ABC13, and Fox26. In addition, she has established several collaboration sites in China and helped to bring advanced methodology to cancer survivorship research to China. The impact of her work is beyond her scholarship in the U.S. and is reaching internationally. Dr. Lu is passionate about bringing the positive impact of research to communities. Working through true partnership with community organizations, her research provides direct and sustainable benefits for communities of color who participate in the research, and the design approach assures more valid and relevant findings. Dr. Lu is blazing a trail and is making significant contributions to the field of cancer health disparities. Her scholarship and originality is impressive at this early stage in her career. It is with great pleasure that we present the Division 38 Junior Award for Outstanding Contributions to Health Psychology to Dr. Lu.